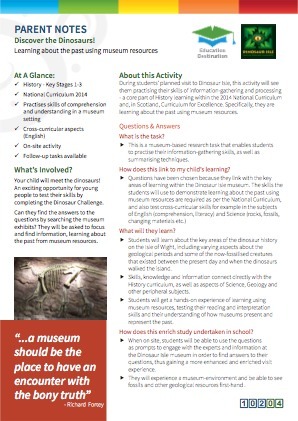 This is a curriculum skills-based History task that enables students to practise their skills of information-gathering and processing/ summarising - a core part of History learning within the 2014 National Curriculum and, in Scotland, Curriculum for Excellence. Specifically, they are learning about the past using museum resources. 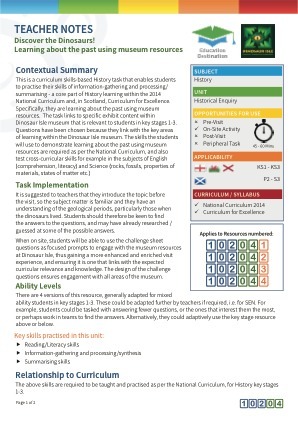 The task links to specific exhibit content within Dinosaur Isle museum that is relevant to students in key stages 1-3. 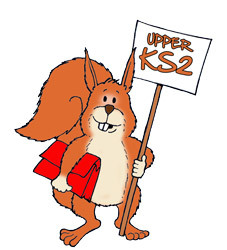 It is suggested to teachers that they introduce the topic before the visit, so the subject matter is familiar and they have an understanding of the geological periods, particularly those when the dinosaurs lived. 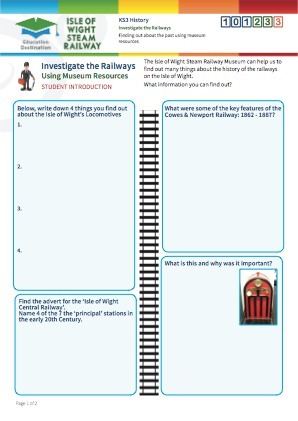 Students should therefore be keen to find the answers to the questions, and may have already researched / guessed at some of the possible answers. 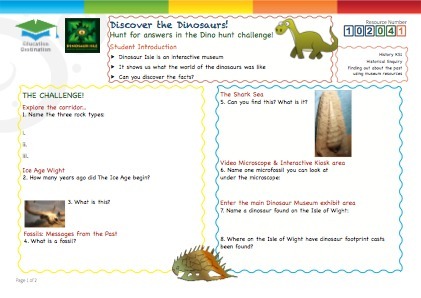 When on site, students will be able to use the challenge sheet questions as focused prompts to engage with the museum resources at Dinosaur Isle, thus gaining a more enhanced and enriched visit experience, and ensuring it is one that links with the expected curricular relevance and knowledge. 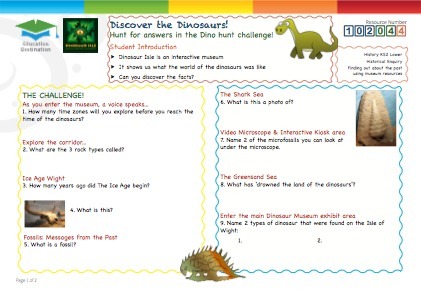 The design of the challenge questions ensures engagement with all areas of the museum. 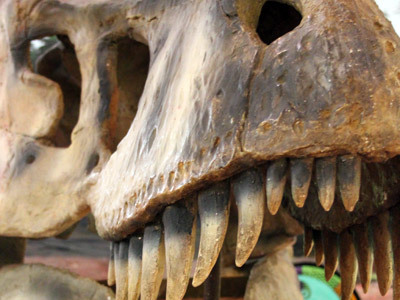 The geological periods, dinosaurs, and using museum exhibits for learning could all be discussed in class prior to the trip so students are aware of the subject matter and the areas of learning relevant to them. 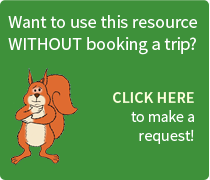 Students will be able to demonstrate their information-retrieval, interpretation and collation skills, by answering appropriate questions and finding the required information. 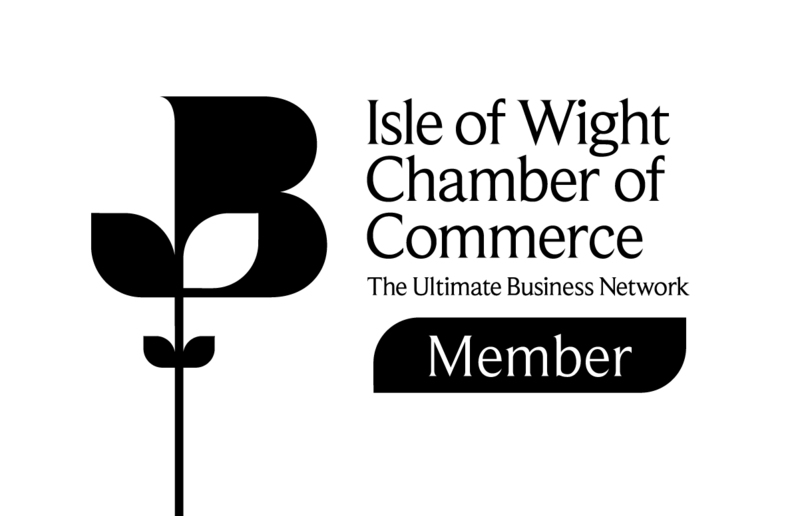 Students will also be able to demonstrate that they have understood their learning, by recording and summarising the information gleaned from the visit.